Individual Nominations - Front Range Research Associates, Inc. Individual National Register nominations document a single historic resource. Nominations include architectural descriptions, historical background, significance and integrity discussions, bibliography of research sources, sketch and location maps, and current and historic photographs. The ca. 1896 Pine Hall possesses a local level of significance in the area of Social History for its function as an early community center in Granite that hosted all types of social activities and events, such as marriages and christenings, funerals, political meetings, school entertainments, religious services, horse shows, and almost every other type of public occasion. 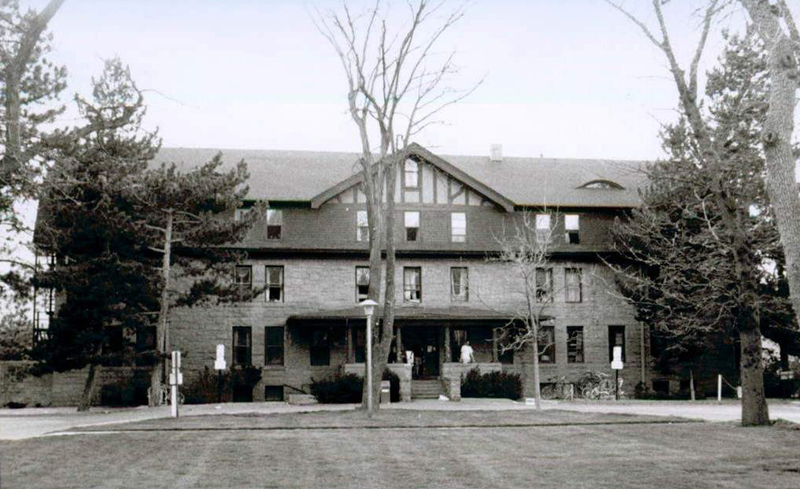 Pine Hall was conceived of and erected by longtime Granite residents August and Elizabeth Pine as a center for community social activities in the isolated mountain town. An 1896 boom in development in Granite resulting from gold discoveries in the area brought renewed life to the town, and the Pines arranged for construction of the building as a gift to the community in which they were pioneers and had prospered. 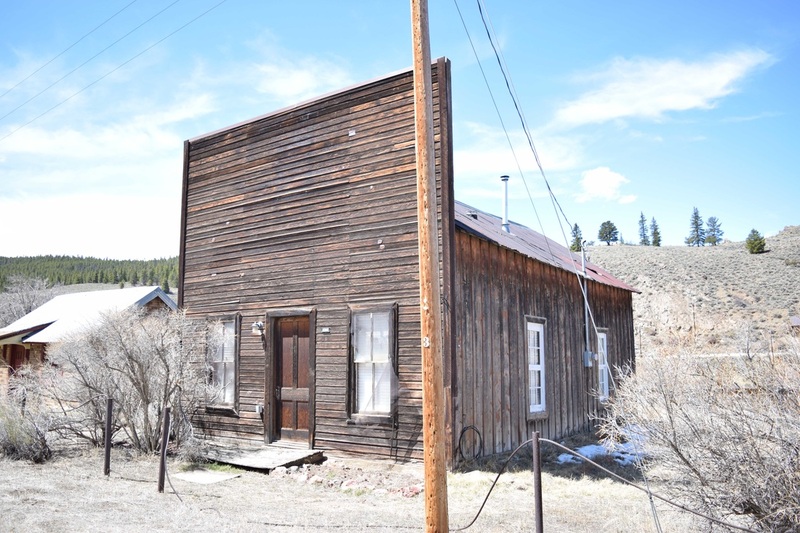 The building is also significant for its Architecture for embodying distinctive physical characteristics of a building type, period, and method of construction: the false- front building type found commonly in nineteenth-century Colorado mining towns and other frontier areas, but now increasingly rare. 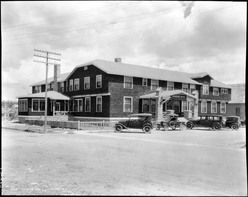 d.. Pine Hall thus played a vital role in the social life of the community. Pine Hall is the only remaining intact representative of false front type construction that typified Granite’s built environment in the nineteenth century. Distinctive elements of the building type displayed by Pine Hall include the tall, wood false-front façade with symmetrical fenestration; multi-light wood windows; gabled roof rectangular building behind the façade; and walls exhibiting drop siding and board-and-batten siding. The project was sponsored by the Greater Arkansas River Nature Association with funding from the State Historical Fund. 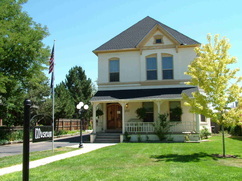 The 1882 Kelley-McDonald House is significant for its architecture, as a well preserved two-story example of a large frame Queen Anne style dwelling in Buena Vista. Queen Anne elements include the cutaway corner, gabled roof, projecting bay, brackets, vergeboard cutouts, and clapboard siding. 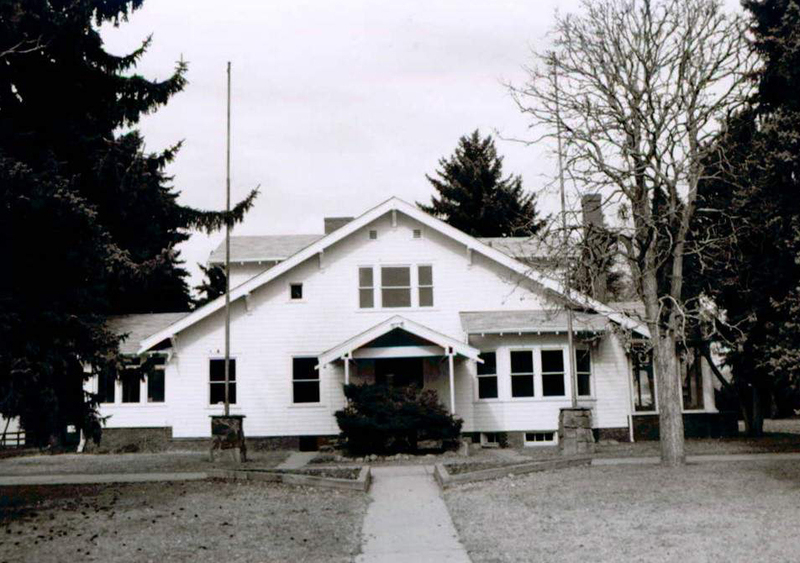 A 1924 reminiscence by an unnamed pioneer published in the Chaffee County Republican mentioned this house as one of the first substantial residences in Buena Vista in a discussion of the town’s important early dwellings. The house is an example of an upper class Buena Vista family residence built within three years of the town’s founding. 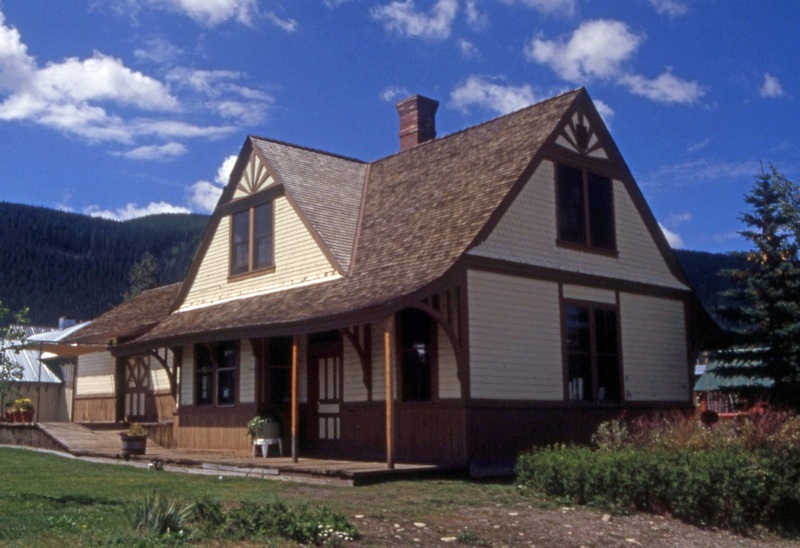 Built by mine manager John G. Kelley and his wife, Medora, in 1882, the house plan may have been supplied or derived from one in a pattern book of the period, given its early date and the relative sophistication of its design. Prepared for the Greater Arkansas Nature Association with funding from the Colorado State Historical Fund. The ca. 1904 Pedro-Botz House, in an area known as Smeltertown near Salida, Colorado, is significant in the area of Ethnic Heritage/European, having been built by Hungarian immigrants Stephen and Annie Pedro as their family home and for its subsequent long association with the family of Yugoslavian immigrants Frank and Josephine Botz. Smeltertown, where employees of the Ohio and Colorado Smelter lived in close proximity to their place of work, housed large numbers of immigrants from the Austro-Hungarian Empire after it opened in 1902, and many of the workers preserved their ethnic heritage and traditions in their new country. The dwelling’s relationship to the industrial plant is part of the larger industrial landscape of the site conveying aspects of working class life, the immigrant experience, and the intersection of cultures. The house is also significant in the area of architecture for its representation of the modest dwellings constructed in Smeltertown, displaying an interesting combination of early-twentieth-century log construction embellished with Late Victorian-style design elements, as reflected in the walls composed of round logs with daubing, gable face clad with three shapes of decorative shingles, and porch featuring decorative molding and turned wood spindle supports. It is the only log dwelling known to remain in Smeltertown. Prepared for the Greater Arkansas Nature Association with funding from the Colorado State Historical Fund. The ca. 1882 William and Anna Fay House is in the area of Architecture for its representation of the dwellings built during the first decade of development in Buena Vista and as an important example of local Queen Anne-style design. The front features an unusual pointed arch window on the gable face, suggesting the possible involvement of Buena Vista’s first resident architect, Richard Weeks. As one of the more ornately decorated houses of the early days, the building reflected the growing sophistication of the community’s architecture. After a remodeling of the west façade between 1896 and 1902, the house became a significant example of Late Victorian/Queen Anne-style residential design, notable for its full-width front porch with full-height turned wood spindle supports with brackets, a shingled pediment, and a decorative frieze. Prepared for the Greater Arkansas Nature Association with funding from the Colorado State Historical Fund. 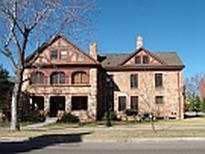 Dodge-Hamlin House, National Register Nomination, Colorado Springs, Colorado (2013-14). 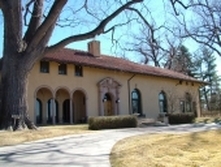 The 1916 Dodge-Hamlin House was listed in the National Register in the field of Education, under the Multiple Property Documentation Form (MPDF) “Historic Resources of Colorado College, Colorado Springs, Colorado” for its association with the growth of the Colorado College campus and its educational programs (1943-64). The house is associated with two leading newspaper publishers and editors and political leaders in the city: Clarence Phelps Dodge, who built and lived in the house during 1916-23, and Clarence Clark Hamlin, who resided here from 1923 to 1940. The house is also significant: in the field of Architecture for its excellent representation of the Mission Revival style and of the types of dwelling construction favored by wealthy Colorado Springs families during the early twentieth century; in the field of Landscape Architecture as an intact residential landscape reflecting City Beautiful concepts; and for its representation of the work of master architect Nicolaas van den Arend in architecture and landscape architecture. Front Range prepared the nomination for Colorado College under a State Historical Fund grant. 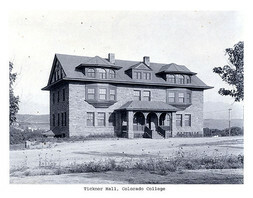 The 1892 Lindley-Johnson-Vanderhoof House, located on the campus of Colorado College, is significant for its architecture as an excellent example of the Queen Anne style in Colorado Springs executed in stone and brick, as reflected in its steeply pitched gables, asymmetrical façade, use of multiple materials, circular tower and semi-decagonal bay, one-story porch extending into a terrace, and porte cochère. The house features a variety of surface ornamentation, including decorative shingles, panels with ropework, rock-faced red sandstone, and red brick. 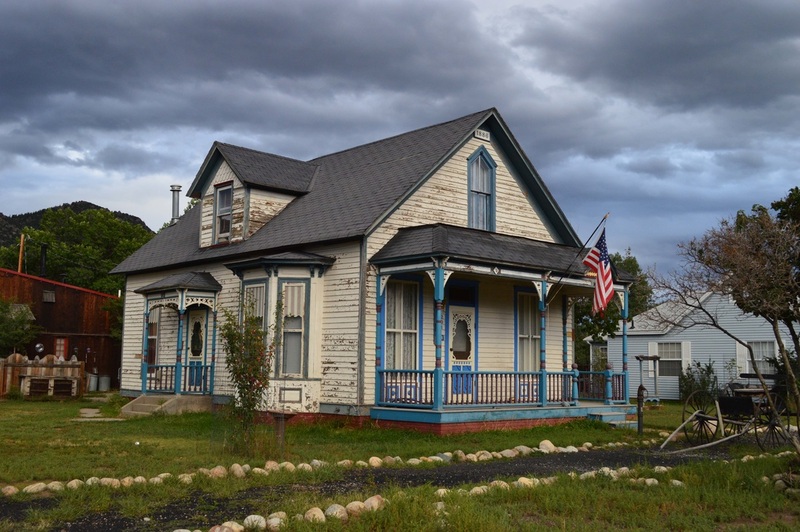 Investor and broker George E. Lindley and his wife, Nellie C., erected this house in 1892 utilizing the services of Pueblo builder William G. Fraser. In a review of 1892 construction achievements within Colorado Springs, the Gazette newspaper included the Lindley House as one of “four of the best and most costly” residences completed. Colorado College sponsored the project under a State Historical Fund grant. Eads Community Church is architecturally significant as an example of a Jacobean Revival-style ecclesiastical building designed and erected over the course of 30 years. It reflects the design efforts of two highly regarded architects: William Stickney of Pueblo, 1923, and John James Wallace of Colorado Springs, 1951. The building is notable for its exceptional, highly artistic brick masonry, representing the leadership and skill of master local mason John B. Hostetter and volunteer workers. 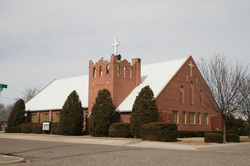 The church is important as Kiowa County’s oldest, largest, and best-preserved religious building that was integral to the social life of Eads, hosting a wide array of civic and recreational events from completion of the basement component of the building in 1923 until 1929. 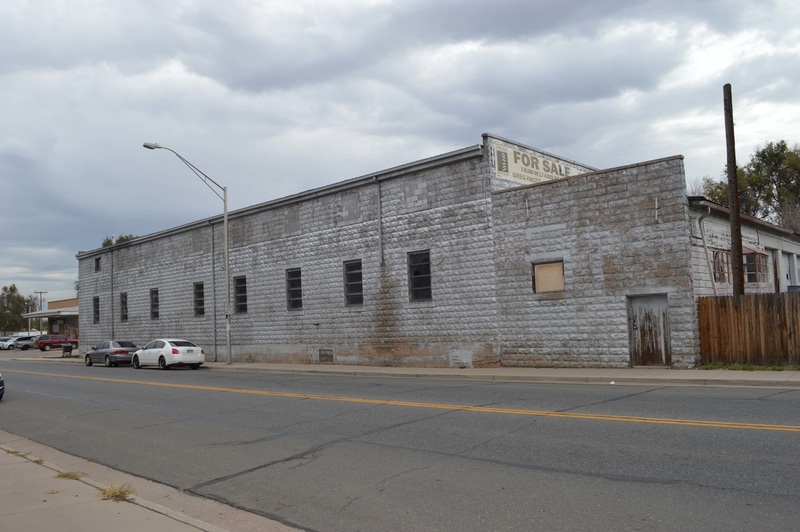 Front Range undertook the project for the Kiowa County Historic Preservation Commission under funding from a Certified Local Government grant. The 1929 Eads School Gymnasium played an important role in town history as the only school gymnasium in Eads from its construction until completion of the current high school in 1963. 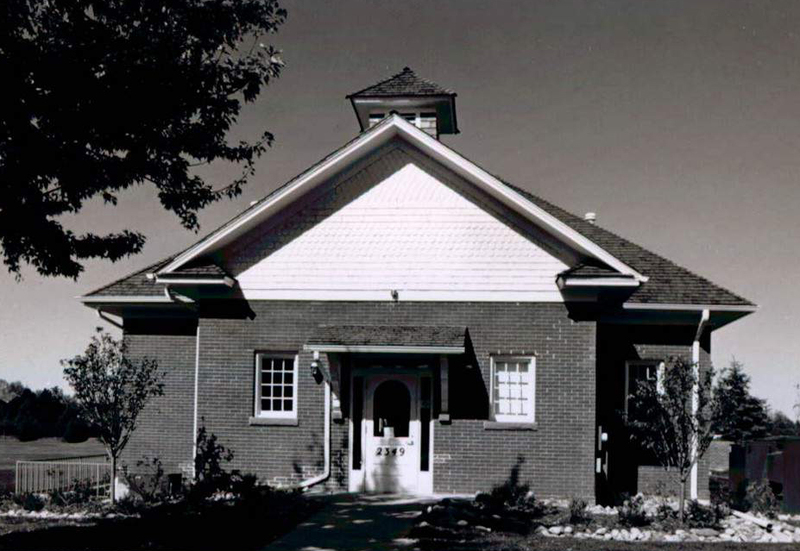 The gymnasium not only housed physical education classes and school athletic teams of Eads, but also accommodated other educational programs of the school and such events as concerts, plays, holiday programs, dances, and graduations. The gymnasium also provided a venue for a wide variety of community social and civic activities and was used by a federal social welfare program during the Great Depression. Colorado Springs architect Elmer E. Nieman designed the Mission Revival building. Front Range undertook the project for the Kiowa County Historic Preservation Commission under funding from a Certified Local Government grant. The 1952 Crow-Hightower House in Eads, Colorado, is significant for its architecture for its representation of a circular plan Modern Movement/Novelty style dwelling. The style is reflected in the house’s circular plan, conical entrance turret, roof crenellations, contrasting blond and red brick, and innovative interior layout. The house is a relatively rare example of the round form employed in a mid-twentieth century dwelling. Eads builder Warren A. Portrey designed and constructed the house for local businessman George D. Crow. 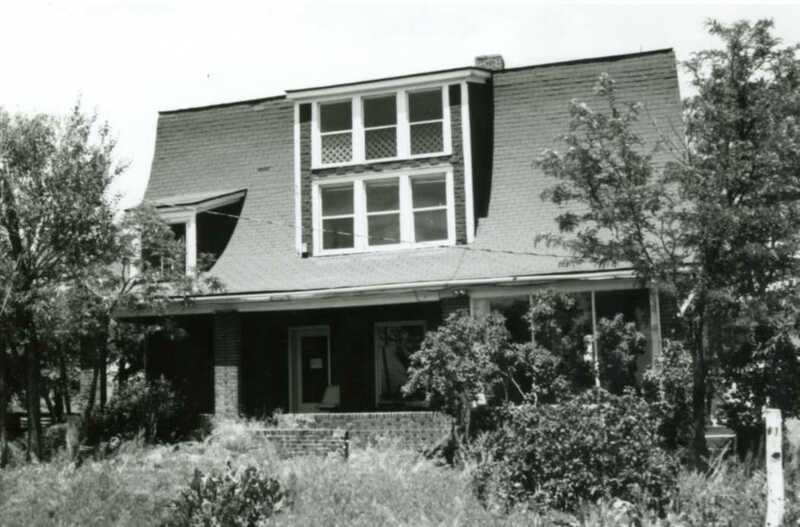 No other circular-plan residences are documented in History Colorado’s COMPASS database (although another round house was built in the vicinity of Eads by the same contractor and investor) and the form is relatively rare nationally. The 1958 Bastien's Restaurant is believed to be the first Googie-style building listed in the National Register. The twelve-sided restaurant on Denver's East Colfax Avenue commercial corridor was designed by local architect Bernard Cahlander. The Colfax Business Improvement District sponsored the project with partial funding from the State Historical Fund. 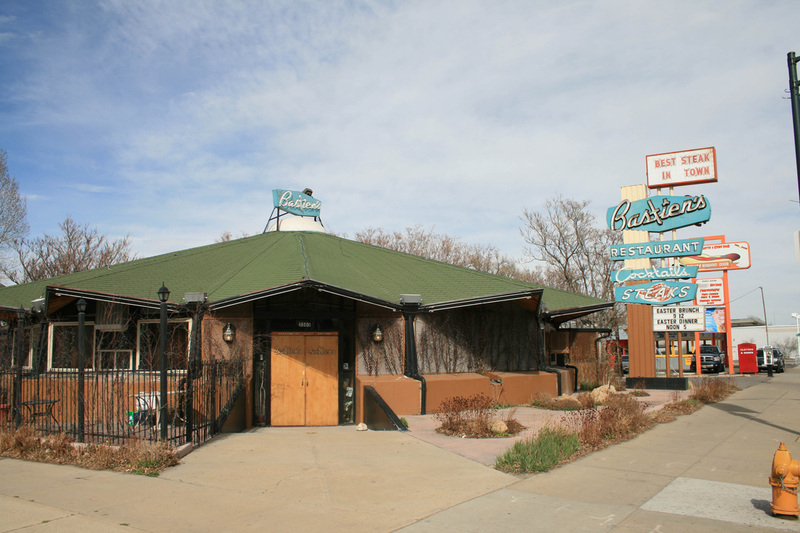 Front Range prepared an individual National Register nomination for the former White Spot Restaurant (now Tom's Diner) at East Colfax avenue and Pearl Street. The Los Angeles architectural firm of Armet and Davis designed the 1967 building in the eye-catching Googie style. Due to owner objection to listing, the nomination was sent forward for an official determination of eligibility, which was approved by the National Park Service. The Colfax Business Improvement District sponsored the project with partial funding from the State Historical Fund. 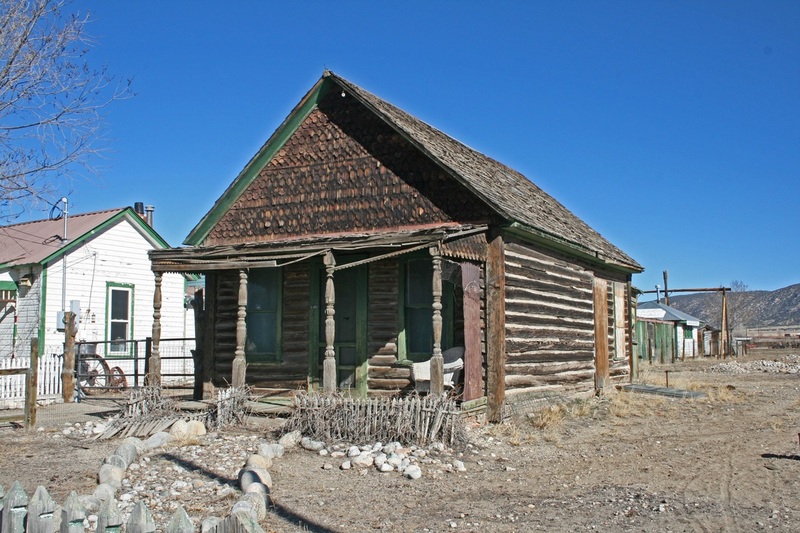 Front Range prepared a National Register individual nomination for William A. Derby's 1886 log homestead cabin on Tarryall Creek, northwest of Lake George in Park County, Colorado. The project was funded by a Certified Local Government grant. The nomination was not submitted to the State Review Board due to subsequent changes made to the building. This 1908 Edwardian style dwelling was built by druggist Theodore C. Bode and was later the longtime home of Joseph E. and Mary K. Stewart. The Stewarts were associated with Stewart Mortuary. Fairplay Hotel, Fairplay, Colorado (2007) Designed by Denver architect William N. Bowman in the Rustic style, the 1922 Fairplay Hotel played an important role in the life of Fairplay and in providing tourist accommodations. The most intact and significant surviving building at the former Lowry Air Force Base was nominated at a national level of significance. Originally erected in 1942 during an expansion of the base during World War II, the building housed the Commandant of Cadets of the fledgling U.S. Air Force Academy in 1956-58. The circa 1881 sandstone residence of Lyman K. Bass, an attorney for the D&RG Railroad. 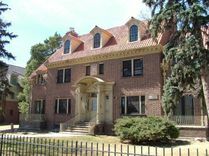 Chester Alan Arthur (son of the president and a leader of Colorado Springs society) substantially remodeled the house in 1902-07. A 1927 Colonial Revival style residence designed by Thomas P. Barber for Ida M. Rice. 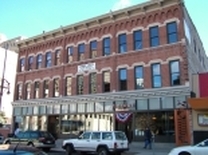 Baur Building, Denver, Colorado (2006) A three-story circa 1891 commercial building in Downtown Denver that housed the Baur Candy Company--a Denver institution. The two-story Queen Anne style brick dwelling of prominent Eaton pioneer, civic leader, and merchant, Aaron J. Eaton. 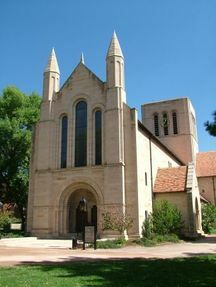 A significant Romanesque style limestone chapel designed by Pueblo architect John Gray for the students of Colorado College in the 1930s. A 1917 Italian Renaissance style house designed by architect J.J.B. Benedict for George C. and Jean L. Cranmer, prominent civic and cultural leaders in Denver. 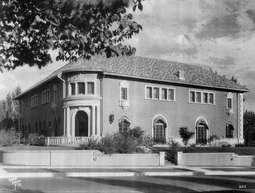 The 1925 residence of Denver furniture merchant Samuel E. Kohn designed by architect J.J.B. Benedict in the Italian Renaissance style. 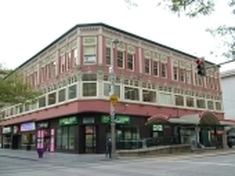 A three-story Gothic Revival style Downtown Denver commercial building erected by developer George Washington McClintock and designed by Willison and Fallis. 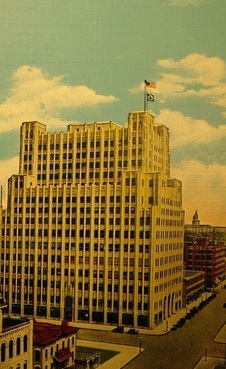 Designed by William N. Bowman in 1929 in the American Perpendicular style, this building served as the headquarters of Mountain State Telephone and Telegraph Company. 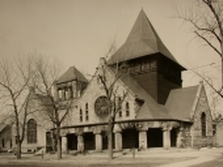 This 1889 Richardsonian Romanesque style stone church was designed by New York Architect Henry Rutgers Marshall and considered one of most significant buildings in Colorado Springs. 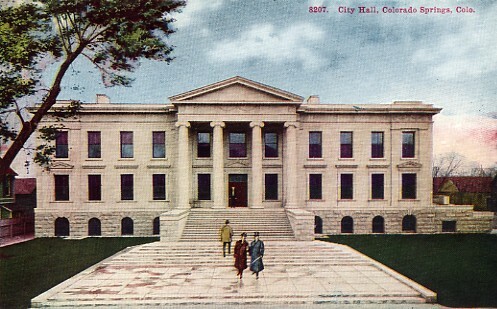 A renovated Classical Revival style City Hall designed by Architects MacLaren and Thomas for the City of Colorado Springs. 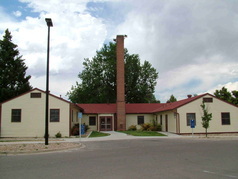 Como School, Como, Colorado (2000). 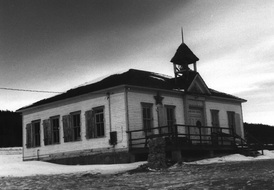 An 1883 educational facility that served an isolated railroad center in Park County. Denver & Rio Grande Depot, Crested Butte, Colorado (2000). A frame combination passenger and freight depot constructed in 1883. 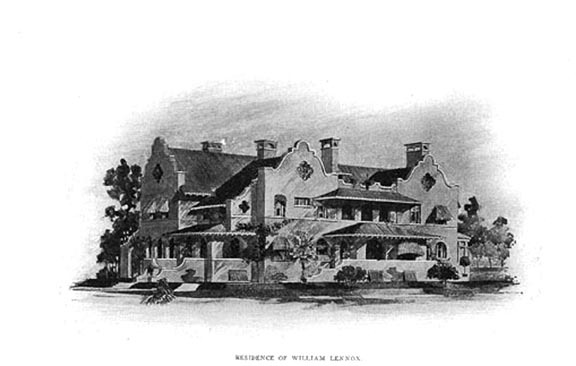 A 1903 residence hall designed by Douglas and Hetherington to house women students on the college campus. 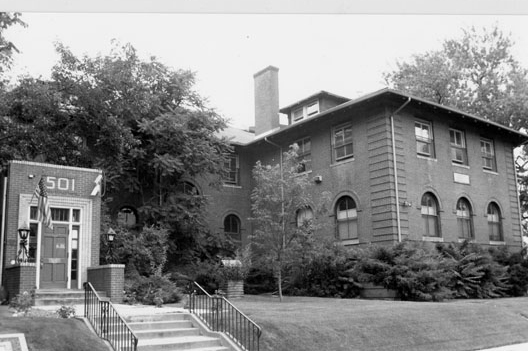 An 1898 residence hall designed by architects Douglas and Hetherington on the college campus. 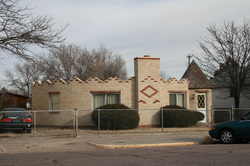 A Mission Revival style residence designed by Frederick J. Sterner for Colorado Springs businessman William Lennox. A 1902 orphanage designed by Denver architects Marean and Norton that continues to serve the city's children. Geneva Home, Littleton, Colorado (1998) A recuperation and retirement home established in 1927 by the International Geneva Association for retired restaurant employees. 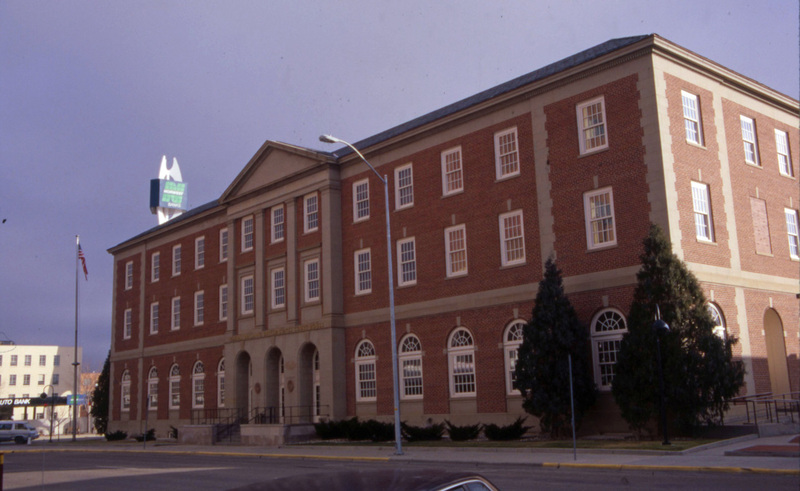 A 1931 federal building and courthouse in downtown Casper, Wyoming; application prepared for the U.S. General Services Administration. 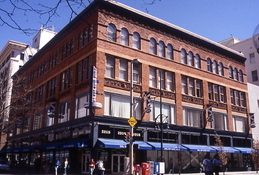 An 1891 Frank E. Edbrooke-designed hotel building in Downtown Denver. 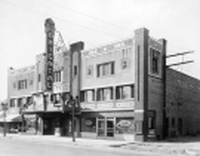 A 1927 atmospheric neighborhood motion picture theater in North Denver. L.A. Desjardins designed the building. Prepared for the National Trust for Historic Preservation, Gifts for Heritage Program, this nomination focused on a house associated with a professor at nearby Westminster University. 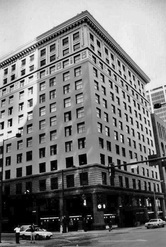 First National Bank/American National Bank Building, Denver, Colorado (1995) A thirteen-story office building in Downtown Denver designed by the Frank E. Edbrooke Architectural Company and built in 1910. 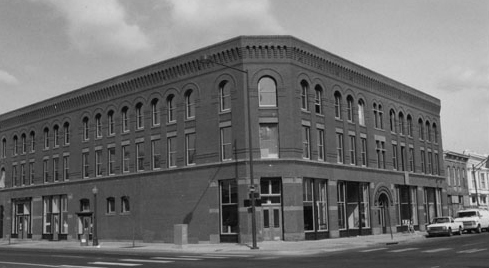 A commercial building constructed in 1891 and expanded in 1902. The building was long-associated with the A.T. Lewis & Son Department Store and was designed by Robert S. Roeschlaub. A 1914 brick school moved from its original site. The project was undertaken for the City of Greenwood Village. 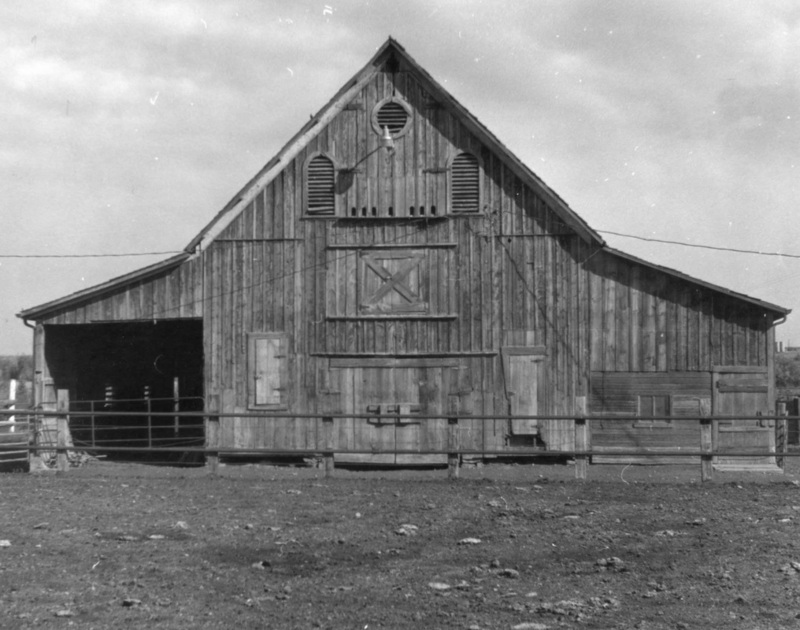 A pegged post and beam barn dating to 1865 that was associated with early cattle raising in Weld County. 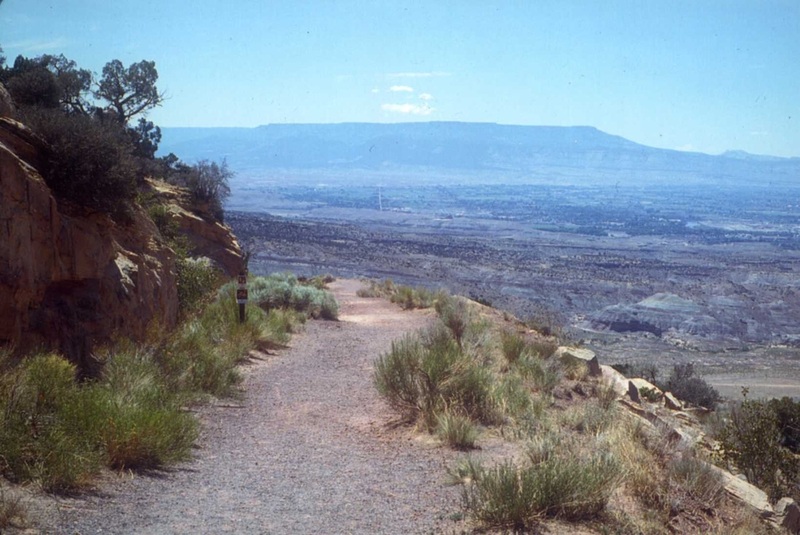 An early automobile road, presently a 1.6 mile hiking trail, within Colorado National Monument near Grand Junction, Colorado. 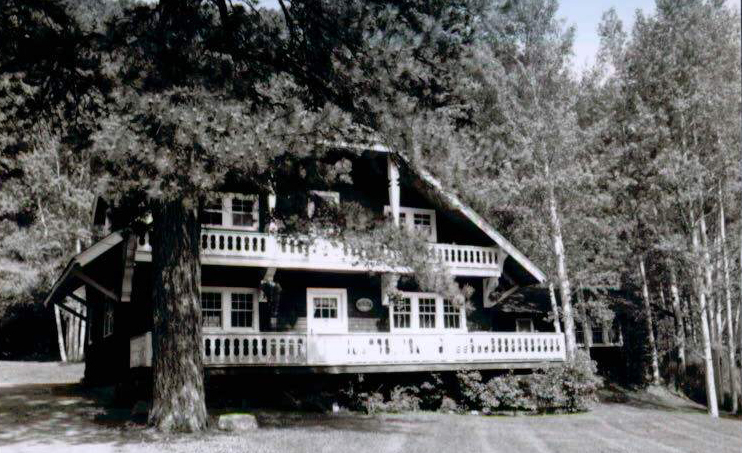 A 1901 gamekeeper’s lodge associated with the hunting preserve established by John C. Osgood at Redstone, Colorado. Built in 1910, this Craftsman-influenced high school building following an expansion of the operations of the Colorado Yule Marble Company, the town's most important employer. When the company cut back operations after 1917, population declined and both elementary and high school classes were conducted here. The school closed in 1941. This ca. 1908 building was erected as one of dozens of worker cottages to address the housing shortage occasioned by the start of operations in 1905 by the Colorado Yule Marble Company. It is significant for its role in the development of the town and as an example of the Dutch Colonial Revival style. In the 1960s, the building was moved to a new site in the town and adapted for use as the Town Hall. William D. Parry, who founded the town of Marble along with William Wood, built this house in 1891. The vernacular wood frame house illustrates the town's settlement-era architecture. It remained in the Parry family until 1950. Built in Aspen in 1886 as St. John's Episcopal Church, this building was moved to Marble in 1908 to become St. Paul's Church. After the move the church received two rooms on the rear and, in 1911, the belfry was added. The Gothic-style church operated until 1941.